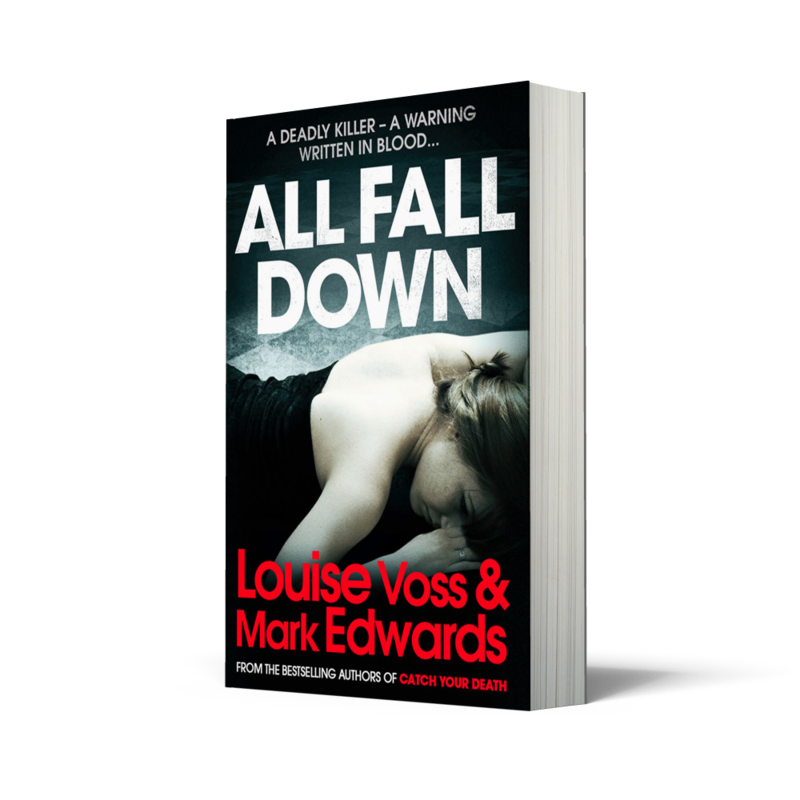 To celebrate the release of ‘All Fall Down’ by Mark Edwards and Louise Voss, here’s your chance to win a kindle fire thanks to Harper Collins. Firstly, to whet your appetite for the book, click here for an exciting extract. And here, Louise and Mark talk about their latest book, read on for the question you’ll need to answer and then click here to get in the game and submit your treasure hunt entry. 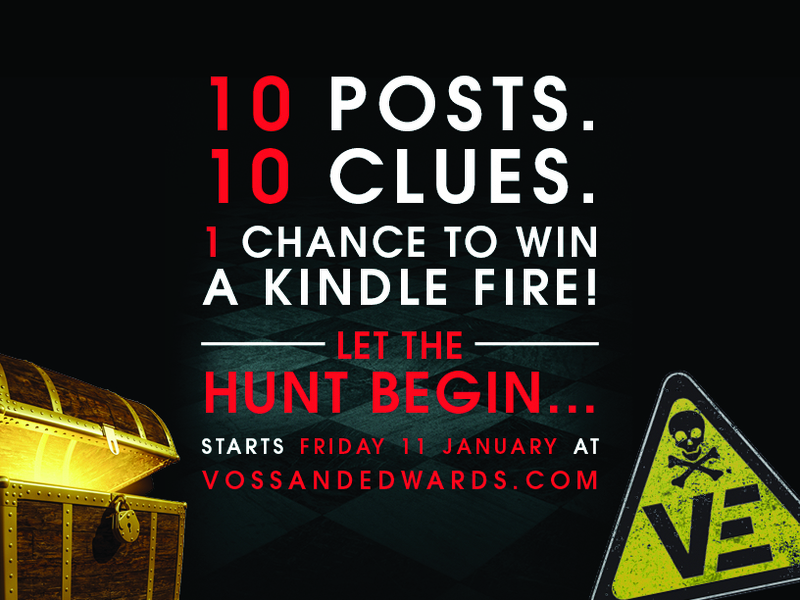 You’ll need the answers from the other blog tour locations, the previous one you can find here, for all the clues you can go to the Voss and Edwards Facebook page, and make sure you get your entry sent in to killer reads by 28th February. Good luck. Louise: Years ago, I came up with the idea of setting a novel at the now-defunct Common Cold Unit (CCU) – a scientific research facility that used to be based in Salisbury. This was a real feature of my youth, a place where cash-strapped students used to volunteer to be given a cold in return for a bit of money. I thought it would make a really original setting for a novel. When I first told Mark about it, I had in mind a sort of gentle love story about two volunteers meeting and bonding over Kleenex, Mark, however, had other ideas. Mark: I have always been fascinated by pandemics – when SARS and bird flu broke out in the noughties, I read all the news reports with a mixture of fear and excitement. When Louise told me her idea for a book set at the CCU, I immediately thought it was a great setting for a thriller. I had just read The Da Vinci Code, and wanted to write something with that book’s pace, and a conspiracy, and I knew that Bird Flu was heading our way so thought it was great timing. LOUISE: Why not? I thought. Mark’s plot ideas about rogue scientists manufacturing deadly viruses with which to hold the world to ransom sounded a lot more exciting than what I’d envisaged, anyway. And as soon as he came up with the title Catch Your Death, I was completely sold. MARK: When we wrote Catch Your Death, it was never intended to be the start of a series. We saw it as a standalone novel. So we were surprised when we received a number of reviews that stated that we had obviously left things open for a sequel. As far as we were concerned, we had told Kate Maddox’s story and wrapped it up but with a hint at the end that the story might continue, though we intended it to carry on only in the reader’s imagination. However, when Catch Your Death became a hit, we started to think that perhaps there should be a sequel after all. Inspiration hit me one morning on a crowded commuter train, while I was squashed between an armpit and a briefcase. Somebody in the carriage sneezed, and I started to think about how rapidly a virus would spread through the train. I whipped out my iPhone and tapped out a rough idea for a new Kate Maddox book. By the time I reached my destination, I had an outline for a story, which I emailed to Louise so we could start fleshing it out. LOUISE: We knew we wanted to ramp up the drama in All Fall Down, and develop the three main characters (Kate Maddox, her partner Paul, and Kate’s young son Jack) to make them all a lot more proactive than before. They all, in different ways, take control of their own destinies – although not without various sets of disastrous consequences. I particularly enjoyed writing the sub-plot of eight-year old Jack stowing away in an Airstream with his buddy Tyler, and embarking on a perilous road-trip across America with Tyler’s older brother at the wheel. LOUISE: Even though we only wrote it last year, I actually struggle to remember which of us wrote which parts – I know that Mark wrote the scientific bits and I wrote the Jack/road trip chapters, but we wrote it so fast that quite a lot of the rest is a bit of a blur! I’m pleased that the pace turned out to be as fast as we’d hoped. MARK: We set it in California because we wanted the book to be a big, bold adventure story painted on the broadest, most cinematic canvas possible. After what was already a high-stakes adventure in Catch Your Death, we wanted to up the ante with a bigger threat to the world – because this time the virus is already out there – plus nastier villains, more frantic action and even more peril for Kate, Paul and Jack. We like to think of it as Catch Your Death turned up to eleven. Early reviews have been fantastic, with one reviewer describing it as “Outbreak meets Die Hard” which, come to think of it, is what we were aiming for! We’re really proud of this book and hope that people like it. We love hearing from readers and you can contact us through our Facebook page: facebook.com/vossandedwards. How have early reviewers described All Fall Down?